Kanye West might have his hands full with a new baby, his daughter Chicago, but that hasn't stopped the artist from recording new music. West announced Thursday that he has two new albums coming out, including one with Kid Cudi. West, who just rejoined Twitter last week, tweeted on Thursday that he is releasing a new album on June 1. "My album is 7 songs," he wrote. Then he also announced that he and Kid Cudi are teaming up for an album that drops on June 7. He tweeted that he and Kid Cudi call themselves "Kids See Ghost." He also announced upcoming album releases by Teyana Taylor and Pusha T.
West and Kid Cudi have collaborated several times in the past. West was featured on both of Kid Cudi's first records "Man on the Moon I and II," and Cudi has been contributing to West's albums since 2008's "808s & Heartbreak." The two have had their differences, feuding in 2016 on Twitter and in real life after Cudi tweeted that West didn't care about him. 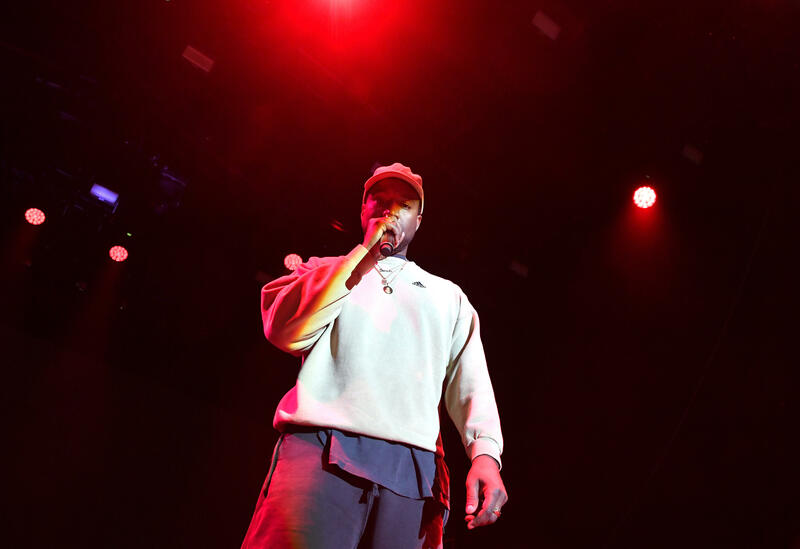 "Kid Cudi, don't ever mention 'Ye name," West said during a performance. "I birthed you! We all dealing with that emo s**t all the time ... Don't ever mention 'Ye name." However, just days later, West said onstage, "I just wanted to take this time out to say Kid Cudi is my brother and I hope he's doing well," while calling his friend "the most influential artist of the last 10 years." Shortly after the Twitter feud, Cudi checked himself into rehab after candidly admitting his struggles with depression and suicidal urges. Pitchfork reports that West filed a trademark application for "Kids See Ghost" back in November, which covers merchandise, streaming services, films and TV shows and more.